When Boston hard-rock band Extreme dropped their album Extreme II: Pornograffitti in 1990, it took little time for it to be hailed as one of the most significant rock albums of that year. The four-piece produced a stunning series of anthems for the LP, which was filled with everything from face-melting guitar riffs to gentle acoustic ballads. This month the band make their much anticipated live debut in Malaysia where you can expect to hear a huge chunk of music from this genre-bending album. 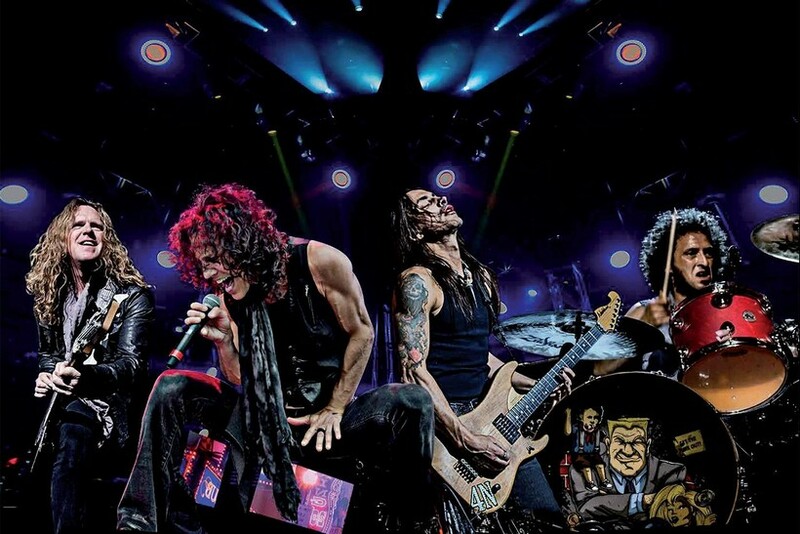 The self-described ‘funky metal’ band formed in 1985 when frontman Gary Cherone and drummer Paul Geary fell out with their-then current band The Dream, to form Extreme. Guitarist Nuno Bettencourt and bassist Pat Badger joined the band soon after, following similar altercations with their own respective bands, and so was born a group that has stood the test of time for over three decades. Known for their signature harmonies and musical diversity, the band is grounded in heavy and hard rock, however their most popular hit was the acoustic More Than Words which recalls classic pop balladry of the Beatles or Everly Brothers. The single remained at number one for weeks, propelled the band into superstardom and launched them into the world of global touring for the first time since forming. Consummate showmen, their incendiary live performances are packed with energy, bringing out the best of each member. Bettencourt in particular, who has earned the respect of not just fans worldwide but also legends like Brian May and Paul McCartney, is one of the guitar greats of the last few decades and has earned the nickname ‘fretboard wizard’ for his inventive playing and virtuoso tone. Pornograffitti is his magnum opus, featuring some of his finest riffs and licks. While More Than Words might be their biggest hit, it’s on the head-banger songs that they really shine – with that said prepare for night of nostalgic big rock from the Boston boys.